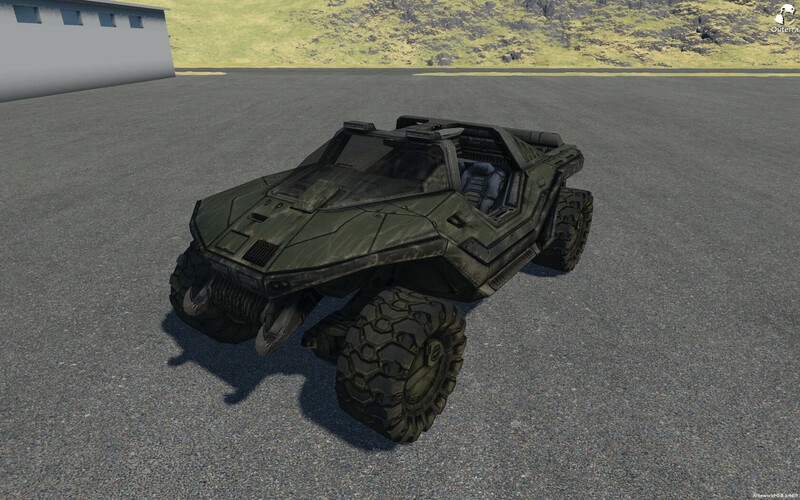 I have imported the Warthog from Halo 3 and make it drivable with a modified script from the bmw release! Feel free to improve the vehicle script and show me your results! Re: (Release) Warthog from Halo! I've never really been a fan of the Halo games but damn that vehicle looks absolutely awesome. I'd love to have that thing in real life. Nice! Seems like it's perfect for travel across the vast terrain, while still getting a good view. Nice to hawe that car in OT, it really needed some real space for those tires.